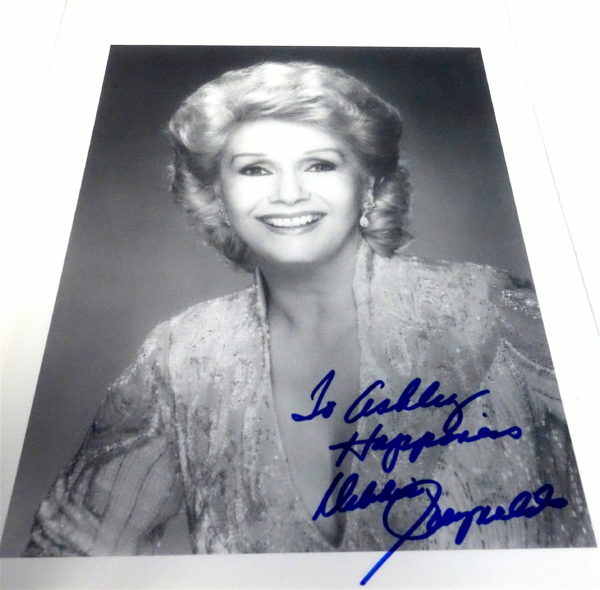 Offered for your approval is this Autographed photo of iconic movie star Debby Reynolds. Debbie Reynolds was born Mary Frances Reynolds in El Paso, Texas, the second child of Maxine N. (Harmon) and Raymond Francis Reynolds, a carpenter for the Southern Pacific Railroad. Her film career began at MGM after she won a beauty contest at age 16 impersonating Betty Hutton. Reynolds wasn’t a dancer until she was selected to be Gene Kelly’s partner in Singin’ in the Rain (1952). Not yet twenty, she was a quick study. Twelve years later, it seemed like she had been around forever. Most of her early film work was in MGM musicals, as perky, wholesome young women. She continued to use her dancing skills with stage work. She was 31 when she gave an Academy Award-nominated performance in The Unsinkable Molly Brown (1964). She survived losing first husband Eddie Fisher to Elizabeth Taylor following the tragic death of Mike Todd. Her second husband, shoe magnate Harry Karl, gambled away his fortune as well as hers. With her children as well as Karl’s, she had to keep working and turned to the stage. 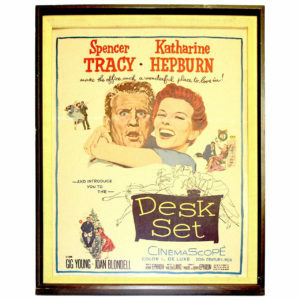 She had her own casino in Las Vegas with a home for her collection of Hollywood memorabilia until its closure in 1997. She took the time to personally write a long letter that is on display in the Judy Garland museum in Grand Rapids, Minnesota and to provide that museum with replicas of Garland’s costumes. The originals are in her museum in Hollywood. Nearly all the money she made was spent toward her goal of creating a Hollywood museum. The collection numbers more than 3000 costumes and 46,000 square-feet worth of props and equipment. She will be missed as one of the all time greatest actors of Hollywood. 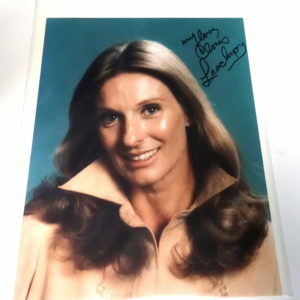 A wonderful opportunity to frame a signed photo of Miss Reynolds for your home, office, collection or studio space.